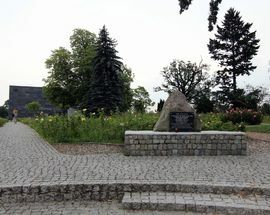 The Righteous Among The Nations Monument. 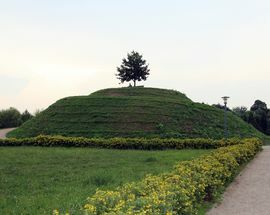 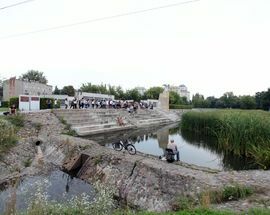 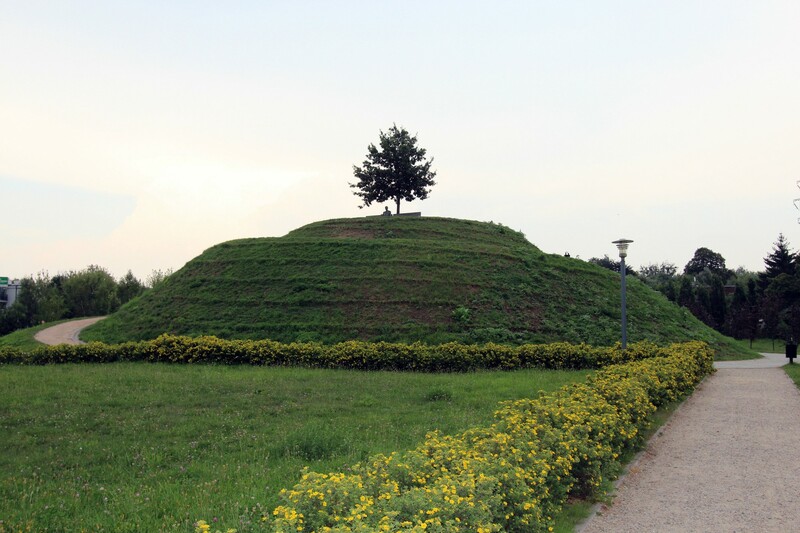 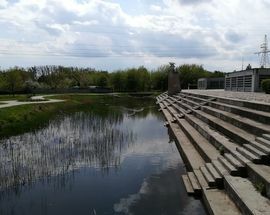 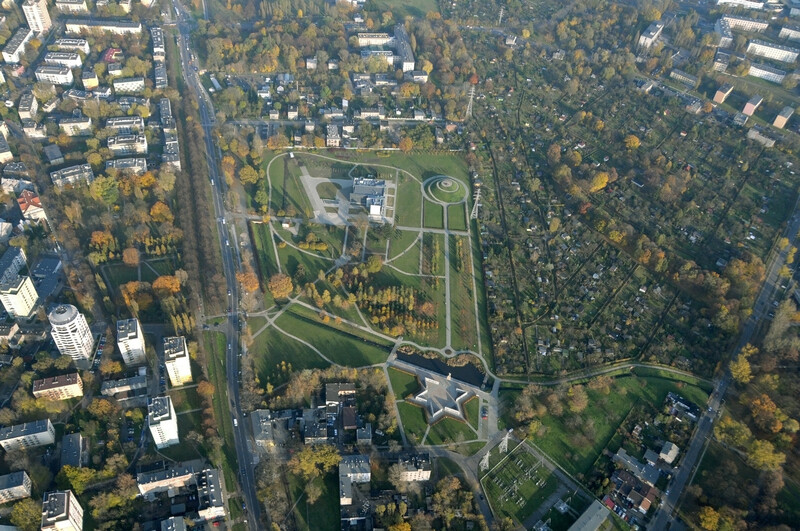 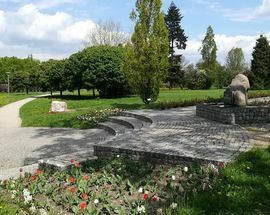 The Survivor's Park (Park Ocalałych) is found in the northern part of the city in the district of Bałuty. 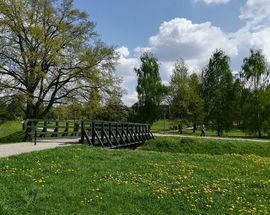 You may very well find yourself here if you are either on the trail of the former Second World War ghetto area, Jewish history, or on the hunt for street art. 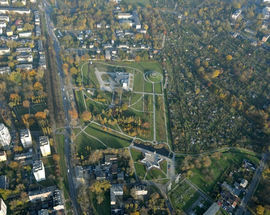 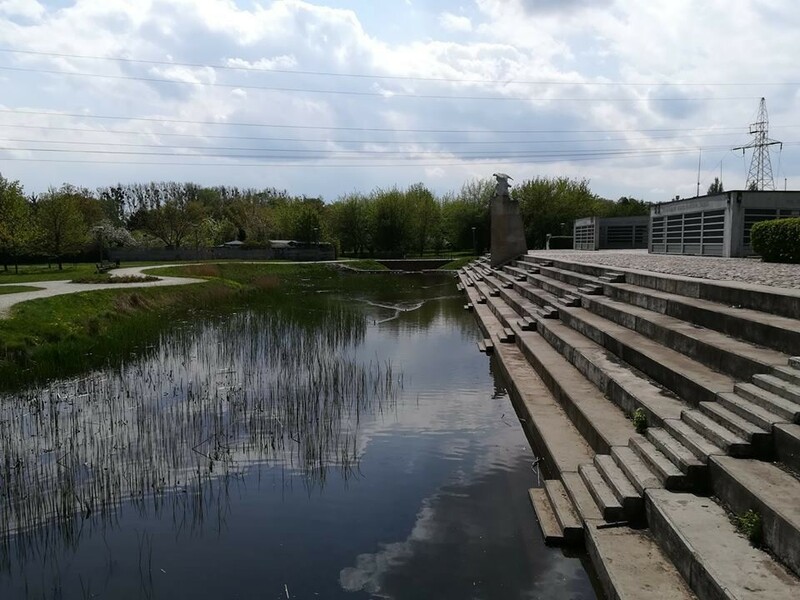 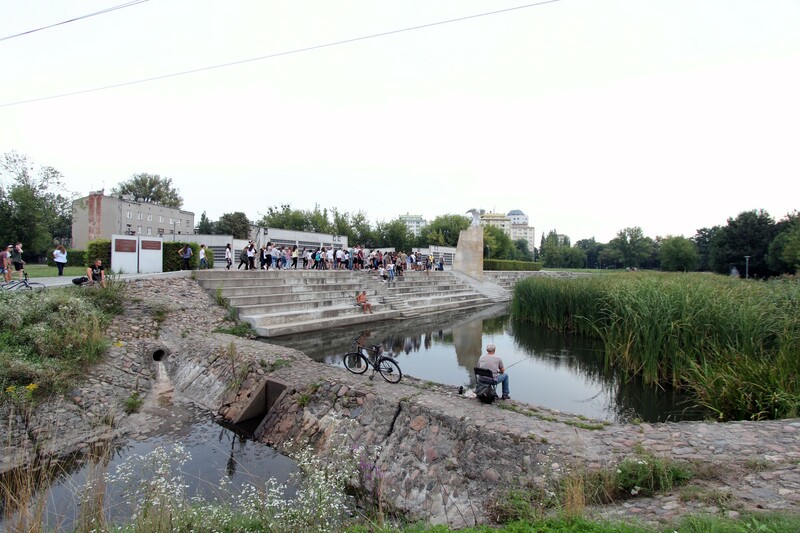 Either way, the park is a pleasant, and indeed, essential part of the Bałuty area, and likewise a worthwhile detour. 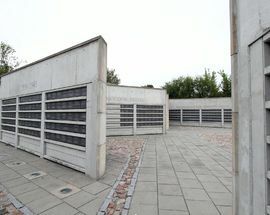 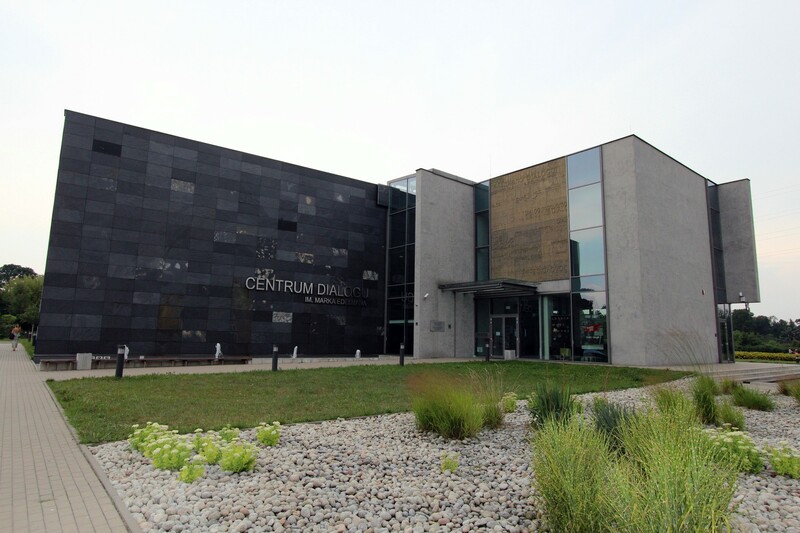 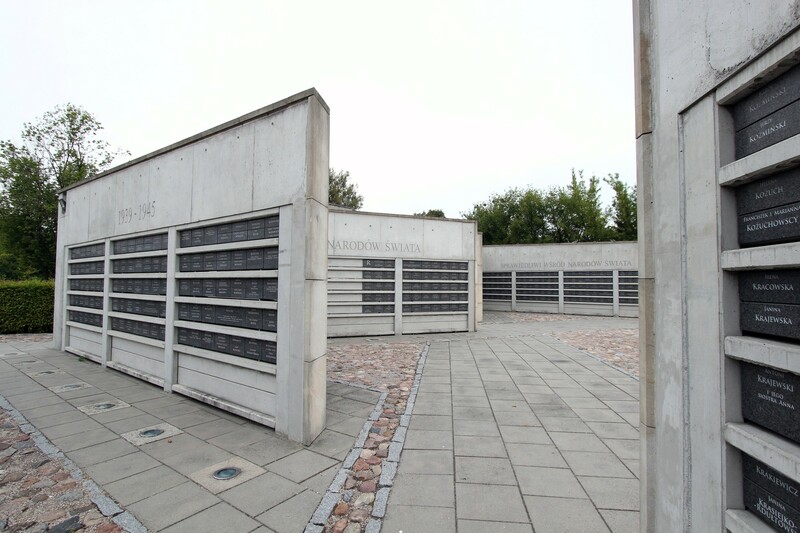 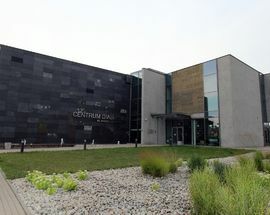 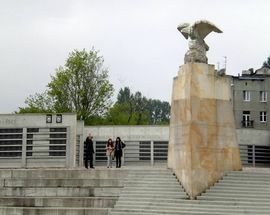 The Marek Eldelman Dialogue Center is located here, which promotes a secular approach to teaching Łódź's multiethnic history, along with teaching the virtues of tolerance while fighting racism and xenophobia. 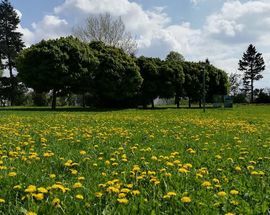 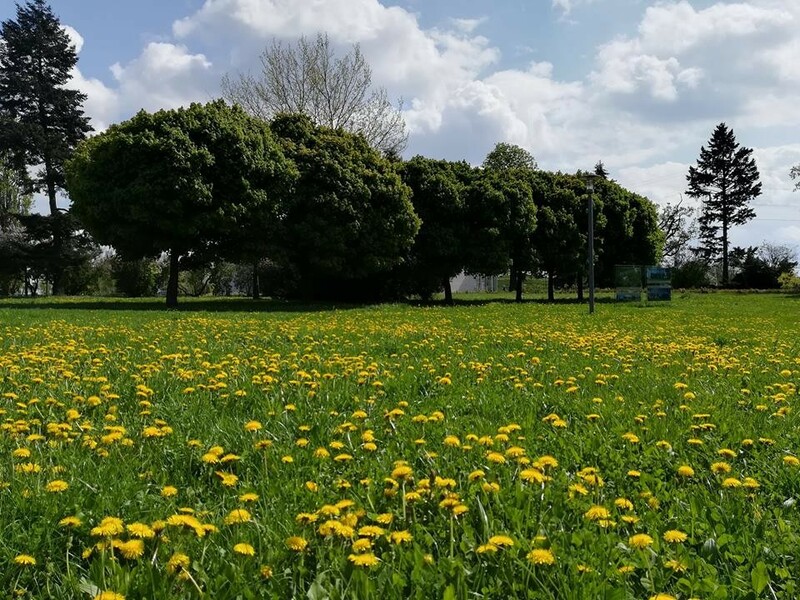 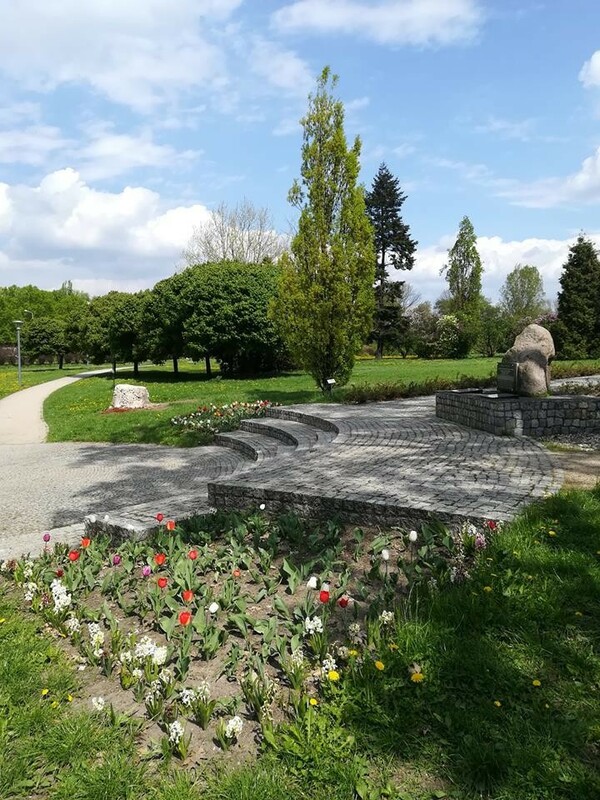 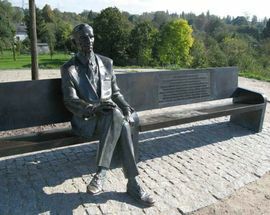 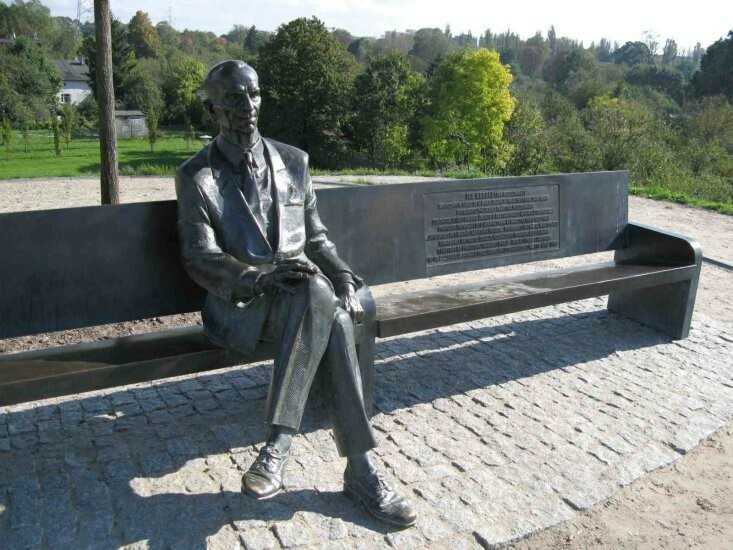 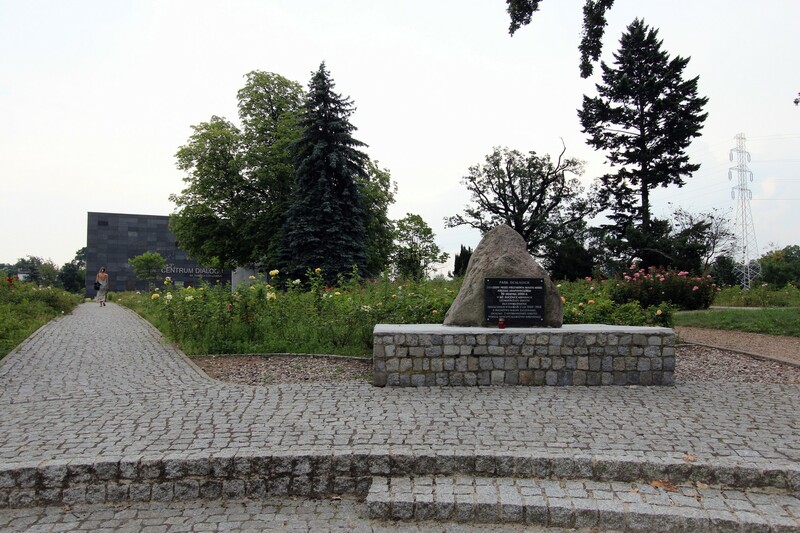 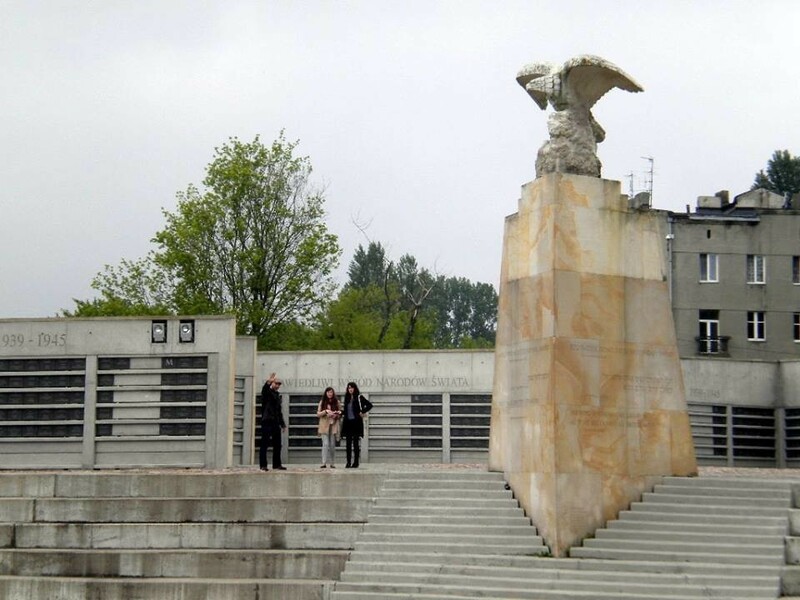 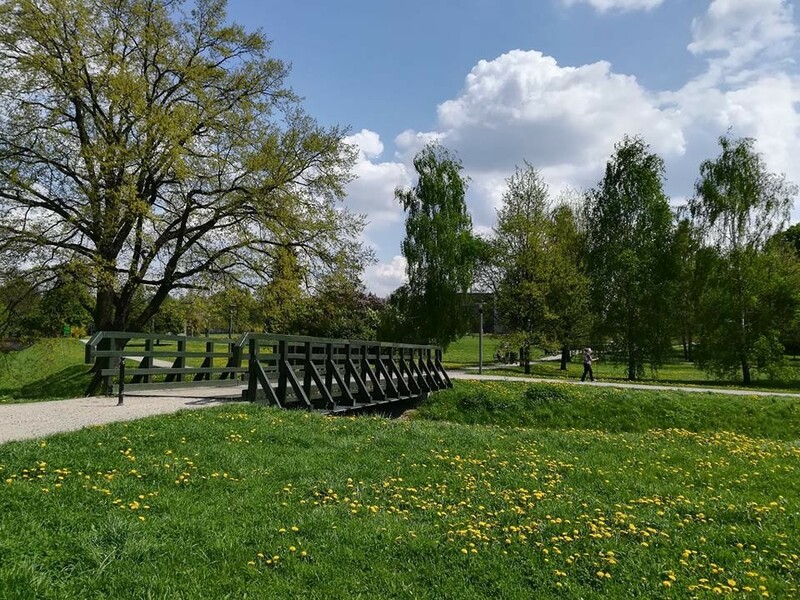 The park is also home to the monuments to Jan Karski, found on the top of the monument mound, and the nearby monument to the Righteous Among the Nations, commemorating Poles who helped save Jewish lives during WW2.